Unique to the artists connected with the festival culture—whether folk, reggae, or hip-hop-influenced—are various degrees of “conscious lyrics,” lyrics reflecting exposure to diverse spiritual traditions, yoga, indigenous medicine, and sacred activism. In the upper echelon are artists such as Nakho and Medicine for the People, Trevor Hall, and Matisyahu; but these are just the names of a few successful artists riding the crest of the wave of conscious music today. Rapture is the pure impulse born of the festivals, a do-it-yourself musical throw-down of youthful enthusiasm and commitment to change-making possibilities that will drive a crowd of ecstatic dancers. Opening with “Boom Shiva” (feat. Hannah Apollonia)—a bass-driven song with an “invocation to the spirit” from Taino elder, Maestro Manuel Rufino—Rapture gets off to a rousing start with a whirling soup of rhyming spiritual references—from "Kabbalah," "Mahakala," to the “Heart of Allah”—all anchored in a chorus dropping the Hindu divinity, Shiva, on the listener like a bomb—“Boom! 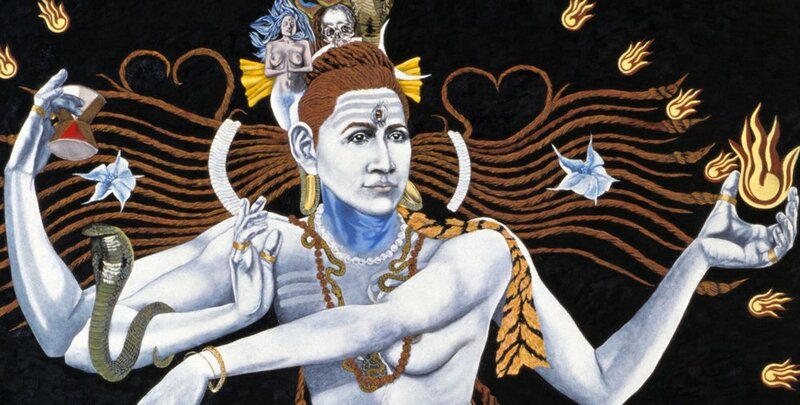 Shiva, Shankara, Om Nama Shivaya”—somehow invoking and combing the destroyer of the Hindu trinity with his other identity as shankara, the ‘giver of joy,’ at one and the same time. The other binding element of the lyrics come from the Hasidic spiritual tradition of YashAkasha’s Ukranian Jewish ancestors, with its emphasis on ‘the broken heart which speaks and heals,’ reflected in the opening lyrics . . .
And then a nearly direct reference to the teaching of the Ba’al Shem Tov, the founder of Hasidism (in Hannah Apollonia’s repeated refrain, “So many worlds inside these words”) that in every word of prayer are entire worlds. Perhaps the strongest track on the album, “Transtribal Codex” (feat. Tr9nsfer) follows immediately after, with its beautiful chorus from Liv Phoenix and Steven (Newmanium) Newman repeated in English and Spanish—“I am opening my heart, I’m singin’ from my heart”—and a complex assemblage of standout rapping in English, Russian, and Italian. Wagner, who is fluent in Russian, manages a compelling set of lyrics in that language which he then follows with an impressive adaptation into an equally compelling English . . .
but only this love will live on when we die. Equally strong is a richly complex, symbolically deep, and musically original guest appearance from Tr9nsfer (the MC name of rapper and slam poet, Daniel Battigalli-Ansell, known for A Love Note), who raps in Italian . . .
Incantata al Massimo dale luce lucido di dio. Un sogno di esere uno io quando tutto e tutto e tutti sono nessuno. (Enchanted to the maximum by the lucid light of God. Also rising strong above the mid-line is “Animystic Linguistics,” an homage to the divine feminine, with its epic feature from Lily Fangz (the sharp-edged, popular hip-hop artist and rapper out of Denver, known for her equally strong singing, rapping, and layers of conscious lyrics), who brings in her own powerful and pulsing story of empowerment, almost an anthem for the re-emergence of the voice of divine feminine in all women, in all men, and in the planet. First calling out the abuses of women and the feminine in the past and present, she then lets the electric light of shakti, the divine feminine energy, erupt . . .
shakti awoken, now she’s spoken, spoken! Finally, Fangz brings us a message from the Mother who has no intention of going back into hiding . . .
A million ways to pray. We must keep steady for a world where children play. Hey, ey, ey, that’s what she say. Indeed, “sweet euphoria” might be the best expression for the experience of listing to Rapture, after which, like the festival dancer who, spinning ecstatically in the grass to the music coming from the stage, suddenly, in its absence, feels dizzy and falls to the ground, exhausted, a playful smile on her face.